Sloty Casino is certainly an interesting name for a brand, if not a little odd. But head over to Sloty’s site and you’ll quickly realise just how dreamy it is. The site gets you feeling as though you’ve entered heavens realms, with a little twist of fantasy thrown in for good measure. You simply can’t ignore this online casino’s fun and interactive interface. Sloty Casino’s interface is quirky with just enough activity, so it looks good and responds beautifully. This online casino is owned and operated by the well-known Genesis Global Limited Casinos group. The company has a couple of other online casinos to its name and they are based in Malta. But not only does the casino have a Maltese license, but they also hold one from the prestigious UK Gambling Commission. While Sloty was only launched in 2017, they have a big brand behind them. So, let’s see what this online casino brings to the table. When it comes to enticing and keeping players, Sloty ticks all the right boxes. In fact, there’s pretty much something for every day of the week along with revolving once-off promotions to keep everybody happy. Before we go in depth here, let’s just get the wagering requirements out of the way. Sloty Casino imposes a 40x playthrough requirement on your matching award amounts. However, you only need to playthrough the actual bonus and not your deposit, too, which is a nice touch. Firstly, new players are welcomed to Sloty with very warm and open virtual arms. For as little as $/€10 you can take advantage of up to $/€1,500 and 300 free spins to spend on Red Riding Hood, Gonzo’s Quest, Starburst and Aloha. The spins are spread out over ten days and any winnings from your bonus rounds carry that 40x playthrough requirement. Once you’ve played through your welcome bonus, you can keep enjoying promotions at this casino. In fact, Sloty has a Tuesday happy hour where you can get 10 free spins when you deposit $/€20 or more between 8am and 9am. There’s also the Game of the Week promotion on Mondays. This one is a two-part award available to players provided you’ve made 2 deposits since you registered, and $/€10 within the last week. With this bonus, you get a 50% bonus up to the amount of $/€100 along with a generous 20 free spins to spend on the casino’s game of the week. Sloty also has a VIP loyalty club that stands out above many others. As a member, you’ll get the usual free spins, bonuses and promotions along with a personal banking service. High rollers even get invitations to events and flights to exotic locations. 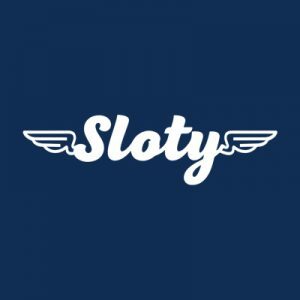 Sloty has done something many other online casinos now do. They’ve integrated with withdrawal and deposit methods, which is good news as it means you can pick the best payment for you and stick to it. The minimum deposit at this casino is just $/€10 and there are no fees for making deposits. The withdrawal options are the same as the deposit options and there are generous withdrawal limits, too. With such a high-quality list of software providers, there’s no doubt you’re going to love what you see when you head to the Sloty lobby. The casino offers a non-downloadable format, which means you can play straight through your browser. All the games are presented in a grid of logos, with an assortment of tabs just above them so you can slice and dice the different categories by software provider, game type and even whether or not a game has a progressive jackpot. The gaming selection is phenomenal, especially when it comes to this casino’s slots. There are around 800 classic and video slots on offer, with all kinds of games you’d expect from such prominent developers. There are also progressive jackpots to try your luck at. As for table games, you’re spoiled for choice. There’s everything from poker and craps to blackjack, baccarat, roulette and much more. If we absolutely have to fault anything, it’s that you can only see around 20 games at a time. It’s probably to ensure things load faster. However, if you scroll to the bottom of all the visible games, you can click on the icon to load more, so it’s not such a big deal. Typically, you’ll find online casinos offer a couple live dealer games from one or maybe two software providers. At Sloty, you can indulge in the best live dealer games from three top developers in the form of Evolution Gaming, NetEnt and Play’nGo. The selection of live HD games is phenomenal. There’s pretty much any variant of blackjack, poker and roulette you can think of, along with Dream Catcher and so much more. 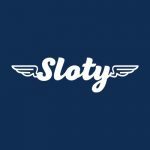 There are live dealers who speak different languages, different types of games for different types of rollers and so much choice, you’re bound to have tons of fun with the live dealer experience at Sloty Casino. We’d be very surprised if they didn’t have something you’re after. Just head over to the site’s games section to see the massive list of live dealer games, streamed in real-time, complete with the opportunity to chat to your dealers as you play. Sloty Casino has made sure you can enjoy online gambling wherever you go and whenever you feel the need. Now, you have tons of fun playing those myriad of live casino games, table games and slots right at your fingertips. All the games at this casino are optimised for mobile play, so you can simply log into your player account through your tablet or smartphone’s browser without the need to download a dedicated casino app. Just imagine playing your favourite slot on the beach, while sipping your favourite cocktail and having the time of your life at Sloty mobile casino! You always want to know that the casino you choose to play at has your best interests at heart, and that means offering a safe and fair gambling environment. Sloty Casino does just that. This casino is licensed and regulated by both the Maltese Gaming Authority and UK Gambling Commission, so there’s no need to worry when you play at this one. The casino uses quality encryption technology, too, to completely protect your financial and personal details. So, any banking or personal data that it transmitted to and from the casino is protected from outside parties getting their hands on it. While Sloty, unlike many other big online casinos, doesn’t publish anything on its website about fairness, RTP values and payout audits, when we consider the gaming licenses the casino has, and the excellent reputation of Genesis Global, it’s safe to say there’s nothing untoward here. The casino also advocates responsible gambling through the use of self-administered controls. You can set limits on your deposits and wagering as well as how much time you spend on the site. You can further request either a temporary or permanent self-exclusion from Sloty, should you need to. Further to all of that, the casino provides a complete page of tips on how to identify problem gaming behaviours and links to outside groups who can help. Should you run into any issues at all during your time at Sloty Casino, you can reach the customer support team over live chat and email, with live chat proving the fastest way to get to the bottom of things. Alternatively, take a look through the comprehensive FAQ section, where you’ll find answers and solutions to common inquiries. There is absolutely no denying that Sloty Online Casino knows what they are doing to attract and retain players. This isn’t just some casino that’s popped up overnight. Instead, it is evident that the team behind the brand have intricately planned out the entire process, which you can clearly see in the sensational selection of games and the stunning site design. We’d go so far as to say that Sloty Casino’s interface is hands down one of the best we’ve seen. It looks amazing and it works really well. The selection of games – especially the live dealer games and variants – is seriously extensive and their software partnering is more than impressive. What’s more, the site promises 24/7 customer support and the operators are responsive, efficient and professional. Sloty Casino has done a highly impressive job. Their welcome bonus of up to $/€1,500 and 300 free spins is generous indeed and their wagering requirements are actually more than fair. We also like that there are ongoing and revolving promotions to keep you busy and make sure you get the most bang for your buck. Finally, we quite like when a casino ensures you can deposit and withdraw with your preferred banking method. It just makes things quick and easy, so you can get on with gameplay. If you’re looking for big wins, plenty of deals and hundreds upon hundreds of games, you need to sign up at Sloty Casino today!